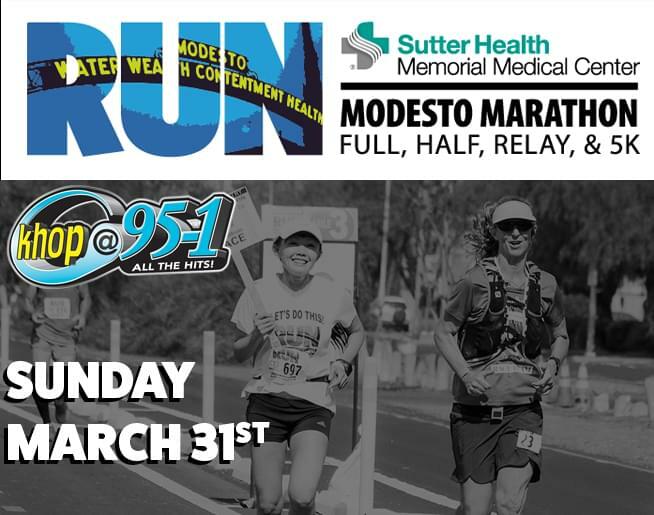 KHOP is proud to once again be the official radio sponsor for the 2019 Modesto Marathon! Presented by the Shadow Chase Running Club and sponsored by Sutter Health – Memorial Medical Center, the Modesto Marathon is a benefit for the Teens Run Modesto program. TRM challenges area youth, especially those at-risk, to experience the benefits of goal-setting, character development, adult mentoring and improved physical fitness. This structured training program culminates in the running of the Modesto Marathon. The Marathon is Sunday, March 31st and features a full, half, relay and 5k!